South Florida’s Largest Urgent Care Provider Continues Its Expansion of High-Quality, Affordable Urgent Care With Multiple New Locations Scheduled for 2017. 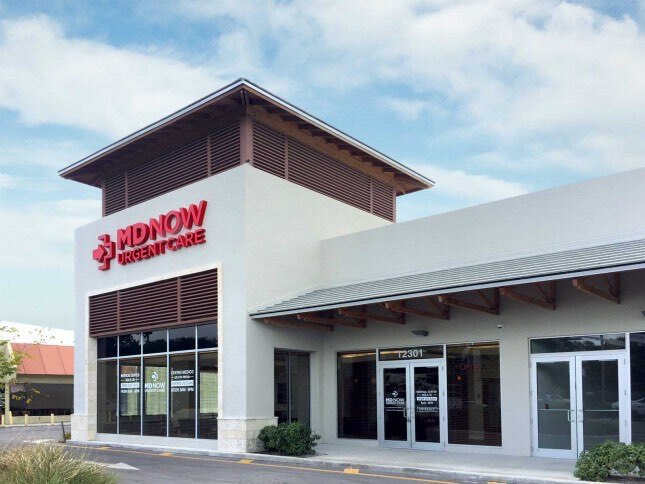 MD Now Urgent Care opened its newest location on Monday, June 19, in Pinecrest, Florida. This is MD Now’s 28th facility overall and marks the urgent care center’s eighth location in Miami-Dade county. The center’s address is 12301 S. Dixie Highway, located one mile North of The Falls shopping mall. The new clinic offers a wide array of services to patients in Pinecrest as well as its surrounding neighborhoods and businesses including, Kendall, Coral Gables, South Miami, Palmetto Bay, West Perrine, Cutler, Richmond Heights, and Hammock Oaks. In addition to conventional urgent care for illnesses and injuries, patients at the new clinic can expect state-of-the-art healthcare services including EKGs, ultrasounds, lab tests, digital X-rays, urine drug tests, physical therapy, and occupational medicine. Local residents and employees receive fast, convenient access to these advanced medical services at a cost that’s typically much lower than that of a hospital-affiliated ER, and without the long wait for an appointment at a family physician’s office. In fact, MD Now has become synonymous with efficient and affordable care for adults and children throughout the South Florida area. The clinic serves patients seven days a week, 365 days a year – with no appointments necessary. All locations’ hours extend from 8 a.m. to 8 p.m. daily, plus patients can check in online or on MD Now’s mobile app. True to its promise, MD Now has two additional new clinics planned to open in Miami Dade County’s Coral Way and Dadeland communities. All together, the urgent care provider expects to add five new locations throughout South Florida during the remainder of 2017.